This tour will depart promptly at 8:15am onward and return at approximately 8:00pm. Windsor Castle is a working royal palace and planned closures/disruptions may be subject to change. Bookings made after midnight for the same day will not receive a free lunch pack. During peak periods, additional vehicles without Wi-Fi may be used. When the State Apartments are closed, the Precincts, Queen Mary’s Dolls’ House and the Drawings Gallery will continue to be open. Steeped in history, Windsor Castle perches proudly on a lush wooded hill overlooking the Thames. Dating back to Norman times, with sweeping landscaped gardens and turreted Round Tower, it’s easy to see why it’s the Queen’s favorite weekend residence. Enjoy a fascinating through–the–keyhole peek at the lavish State Apartments, home to priceless artworks by Rembrandt and Leonardo da Vinci, and visit St. George’s Chapel, the atmospheric final resting place of former monarchs including Henry VIII. You can visit Queen Mary’s Dolls’ House, a truly incredible structure complete with working lifts, running water, electricity and wine bottles, all in miniature! The true meaning of this ancient, awe-inspiring creation has been lost in the mists of time. Was Stonehenge a temple for sun worship, a healing center, a burial site or perhaps a huge calendar? How did our ancestors manage to carry the mighty stones from so far away and then, using only the most primitive of tools, build this amazing structure? Surrounded by mystery, Stonehenge never fails to impress. As one of the most well-known pre-historic areas in the country, Avebury will have you asking questions, discovering ancient secrets and mesmerized by its size. The Neolithic monument dates back to the 3rd millennium BC and has Europe’s biggest stone circles which are considered hugely important to many religious followers. To ensure you make the most of each attraction and don’t waste valuable exploring time, our tour includes a lunch pack, completely free of charge! Save time, money and dodge the inconvenience of finding somewhere to eat. Standing proudly on the slopes of the River Avon, beautiful Bath was the first city in England to be designated a UNESCO World Heritage site. The gorgeous 15th century Bath Abbey, the stunning Georgian architecture, the romantic Pulteney Bridge, modeled on Florence's Ponte Vecchio, are all sights to linger on in the memory of your day. Roman Baths and Pump Rooms No tour of Bath would be complete without a visit to the famous Roman Baths that gave the city its name. This beautifully preserved bathing complex still flows with water from Britain’s only hot spring. Marvel at the dazzling torch–lighting ceremony as dusk falls (not applicable in summer) and sip Bath’s healing waters in the Pump Room, a stunning neo-classical salon. Estimated arrival time back in London is around 8:00 pm. There is just not enough time ad Bath and Windsor. should drop one of the 3 stops. Overall it was good, we just needed some additional time to be able to complete the list of places, and visit Stonehenge, which it was probably the highlight to tour, at least for me and my family. Graham and Alan did an excellent job! FYI - I did not know beforehand I was touring with Golden Tours. I booked online with Grayline.com and this was the local company they used. I've used Grayline before when visiting other countries, but this was the first time my tour was assigned to a third party. I was a bit worried when I checked in on Yelp that morning of the tour and saw all the negative reviews. I'm glad our tour of Windsor Castle, Stonehenge, and Bath was just perfect and what we needed for our short weekend trip. 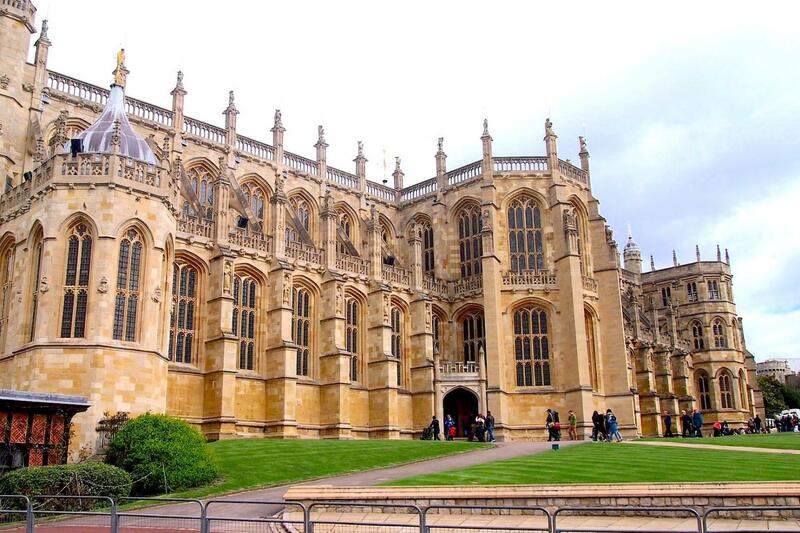 You can easily spend a day each at Windsor Castle and Bath. However if you're short on time and don't mind the " Look, Feel, and Move On" tour for just a taste then this is for you. Our guide was Kingsley and he was funny, witty, and informative. Thank you also to Armando for driving the whole day and getting us back to Victoria Station before 8pm. A vegetarian sandwich box lunch was included on our tour, it is not super filling but we had time to get other snacks at Windsor and Bath as well. You can charge your phones with the USB plugs at your seats, but it's only available during the long driving time in between the destination stops. Overall it was a good tour and well worth the cost. Grayline offers 5% and 10% off coupon codes from time to time as well. It was a good price for three in one beautiful places! Tour guide was practical, patient and made the trip enjoyable. The coach driver was nice too. It's all about providing a good experience.